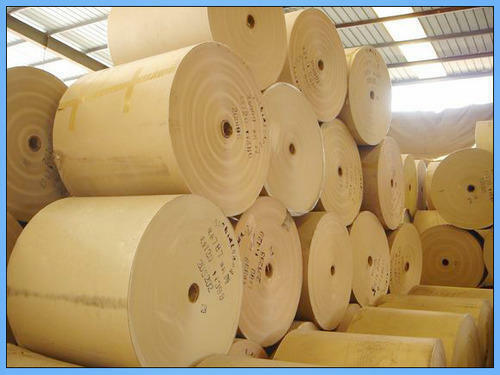 We are renowned for manufacturing, exporting and supplying a qualitative array of Kraft Boards to our valuable clients. These products are mainly used in manufacturing of paper cones, paper cores , Carton Box manufacturing industries, Paper Bags Manufacturing Industries and packing of different products. The qualitative range of this product supplied by us is highly demanded in the market. These craft boards are available in various colors. The smooth and long lasting texture of these products catches the client''s eyes automatically. Our range of paper products comprises Poly Board, Poly Coated Duplex Board Cartons, Poly Coated Paper Board, Polycoated Paper, and Colourkraft Paper. These have been manufactured using best grade raw materials that have been sourced from only the most trusted and certified vendors in the market. As a result, these products offer premium quality, and are in complete compliance with the industrial norms and standards. These have been famed for their excellent durability and light weighted properties. Our paper products are also very easy to carry and cost-effective, making them an instant buy in the market. In order to cater to the varied needs of every customer, we are offering both standardized and customized versions of our products. We can easily tailor-make our paper products to match the specific requirements of our clients, with respect to size, colour and texture. Furthermore, our timely deliveries and ethical business practices have helped us carve a niche in the domestic as well as the international markets.